THE Diesel Traction Group’s ever-popular ‘Western’ No. 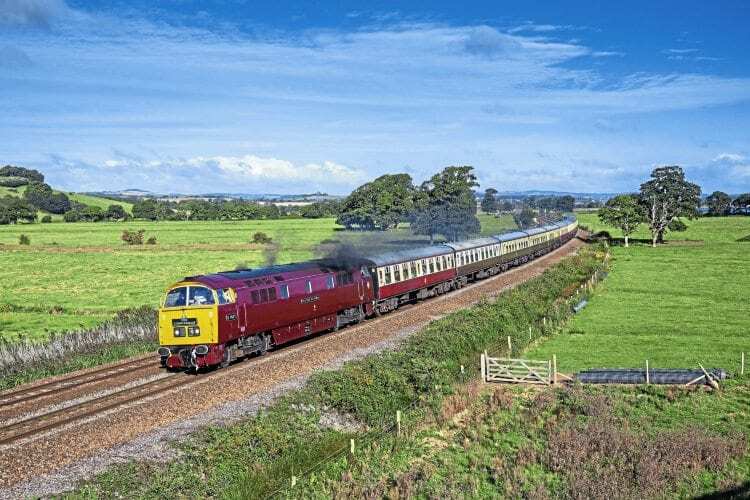 D1015 Western Champion put in another faultless performance on September 17, when it worked Pathfinder Tours’ ‘Cornishman’ to Penzance. Running in the guise of scrapped classmate No. D1071 Western Renown, and with a trailing load of some 455 tonnes (13 coaches), the hydraulic made a smart departure from Tame Bridge Parkway at 05.07, heading south eastwards through Perry Barr and curving to the south west through Proof House Junction and into Birmingham New Street bang on time at 05.21. The three minutes allowed at New Street turned into four before No. D1015 got underway again via Kidderminster and Worcester, but by Cheltenham the ‘Western’ was running perfectly to time, and Bristol Temple Meads was reached at the booked time of 08.00.